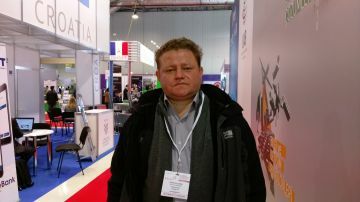 - As an ICT specialist, I have been visiting the exhibition for last ten years. It is always interesting to meet new companies, learn about their positions and offers and exchange contacts. This year there are a lot of participants from the medium businesses. That's right, it deserves interest! The exhibition is the great opportunity for networking. I hope new contacts will be useful to me, and will yield good results. Exhibitions are needed for local companies to show themselves, while for foreign companies it is a good chance to stand out and in general, the event served for the global development of the industry. Of course, we need to continue to work in this direction. I also want to highlight the presence of national stands. A great idea is to unite several foreign companies in a single territory, which helps analyze western technologies and innovations.